What we believe about conversion matters, but you don’t have to look far to see a lack of clarity on the doctrine. Faulty beliefs about the nature of biblical conversion fuel practices that are harmful to the spiritual well-being of people and churches alike. 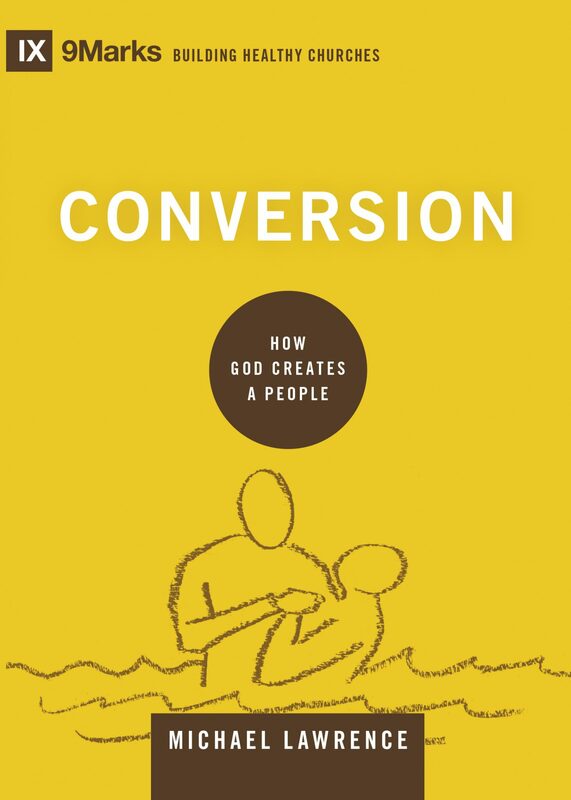 In Conversion: How God Creates a People, Michael Lawrence—lead pastor of Hinson Baptist Church in Portland, TGC Council member, and author of Biblical Theology in the Life of the Church—has given us an incisive guide as we seek to display God’s glory in conversion to a watching world. When thinking through the nature of conversion, we have a tendency to downplay and domesticate. I think we do this with good intention. We want to see people come to the Lord, so we offer an achievable salvation. It’s still Jesus, but now he’s a mere guide to a self-improvement system. It’s a conversion in which the markers of faith don’t depend on supernatural regeneration, but can be achieved by anybody motivated enough to look the part. Crossway (2017). 144 pp. $14.99. As long as we look nice and try hard, who’s to judge? The gospel of moral self-reform is alive and well in our churches. Rather than accepting this counterfeit, Lawrence compels us to looks at how the Bible portrays conversion: not us working on ourselves, but God’s work in us. Biblical conversion is a work of regeneration (John 3:3; 1 Pet. 1:3), re-creation (2 Cor. 5:17; Gal. 6:15), and transformation (Col. 3:10). While clearly locating the work of conversion in God’s hands, I appreciate that Lawrence also calls us to see our role in this redemptive drama—to repent and believe. By examining Scripture’s description of our response as recipients of grace, Lawrence helps us see how wholehearted trust in God necessarily reorients our worship and changes our lives (cf. 1 Thess. 1:5–7). More than a mere decision, conversion is a “complete reorientation of the heart in worship through repentance and faith” (67). Lawrence’s treatment of the fundamental aspects of conversion is enough to make the book a commendable read. But he goes further, unfolding the implications for these truths on our lives. One of the most basic evidences of conversion is a desire for holiness, not primarily achieved by our own effort, but through union with Christ (2 Cor. 5:21). As I consider Christ’s righteous sacrifice on my behalf, it makes me actually want to be righteous in my thoughts and actions here and now. Standing secure in Christ’s holiness fuels my desire to grow in personal holiness. If conversion is muddied, so is the impetus for growing in godliness. God doesn’t just make us nice; he makes us new. Since conversion is first and foremost a miraculous work of heaven, we’re free to engage in the work of evangelism joyfully, knowing that our success isn’t defined by anyone’s response but by our faithfulness in sharing. Phew. Praise God. While thinking through conversion and all of its personal implications, Lawrence writes chiefly to congregations: “Insofar as our salvation involves a corporate dimension, a book on the doctrine of conversion must also be a book on the church” (43). For example, Lawrence rightly insists that assurance is a community project. But too often churches work in the other direction, becoming too willing to reject those who don’t seem to measure up. Instead of enacting this brand of Pharisaism, the church is called to be a gracious and charitable community, not suspiciously reluctant to accept. There’s room in the body for the immature, the imperfect, the weak, and the wounded. “They don’t belong because they’re mature and perfect in holiness,” Lawrence explains. “They belong because their hope is in Jesus Christ, and that hope is reorienting their lives” (113).